The Democratic Hispanic Caucus of Florida’s mission is to stimulate a participating interest in public affairs that will foster better and more representative government for Hispanics; increase the political power and influence of Hispanics Democrats within the Florida Democratic Party; unite the Hispanic Democrats in the State of Florida; promote principles of the Democratic party at all levels; encourage qualified Hispanic citizens to become candidates for public office and support applicable campaign efforts to elect all Democratic party nominees; support and solicit for legislation and government action on a national, state, county and local level which reflects the best interest of the Hispanic community; provide on-going support to the Democratic Hispanic Caucus of Florida herein referred to as DHCF. Organizational meetings and PowerPoint presentations are available for counties interested in forming local chapters. The President of the Democratic Hispanic Caucus of Florida, Vivian Rodriguez at 407-758-2442 or rvivian370@aol.com.You can also find out and follow their events and meetings on their Facebook page. The DWCF was formed to bring together all Democratic Women’s Clubs in Florida to provide a forum for discussion of public matters, to support qualified candidates for public office and to encourage qualified Democratic women to seek elected office. Members and guests are trained in leadership and campaign skills through a variety of curricula offerings, recruit women to run for political office, both elective and appointed, and manage campaigns with computer and Internet technology. The Legislative Committee serves as the hub of activities during the Legislative Session as members monitor and lobby for or against legislation that has a dramatic impact on the lives of the citizens of Florida and particularly the women of Florida. To join in, contact President Janet Goen, or president@democratic-women.org. A voice that seeks to instill awareness of the freedoms of a democratic society, educate future leaders, support the community at large, and maintain an ongoing rapport and increasing viability with political entities. Further, it shall be the mission of this organization to foster good will between gay, lesbian, bisexual and transgender (GLBT) members of the Democratic Party and the community at large. We seek individual freedom in the framework of a just society and political freedom in the framework of meaningful participation by all citizens. The President of the Florida GLBT Democratic Caucus is Sally Phillips and she can be reached at president@floridaglbtdemocrats.org. The Caucus has chapters throughout the state of Florida and can be reached at 877-446-8569 or info@floridaGLBTdemocrats.org. The Democratic Caribbean Caucus of Florida’s mission is to generate a significant increase of political support for the Democratic Caribbean Community for its four basic and main issues: Immigration, Economic Development, Education, and equivalent political support for Caribbean candidates. We will achieve our mission through organizing Democratic Caribbeans and increasing participation in the Florida Democratic Party. We will increase Caribbean support through our achievement of our objectives. Our State President is Dr. Thomas K. Pinder, who can be reached by email at tkpstate@yahoo.com. The Small County Coalition represents the rural counties of Florida, which is more than half of Florida's 67 counties. Although none of these counties has a Democratic voter registration over 40,000, the Coalition makes up a large Democratic voting bloc in Florida. The President of the Small County Coalition of Florida is Dave Dew. He can reached by email at davedew@comcast.net. The Florida College Democrats is a student run organization that focuses on the democratic development of students on college campuses across the state of Florida. This group has chapters at many major universities across Florida including UCF, UF, UM, FIU, FSU, and more. It's main purpose is to educate students on the importance of the political process, train students to be politically active, and get democrats elected. For more information about the FCD you can check out their website http://flcollegedems.com. The Netroots Coalition was created to help bring together bloggers and Netroots activists who support the Democratic Party. The mission of the organization is to contribute to the growth and influence of the Democratic Party, to establish and maintain a Democratic online community, and to promote the party and all party candidates for Democratic leadership throughout the state and nation. We also seek to assist and encourage Florida Democrats, including clubs, county, and grassroots organizations to get online and establish a communication network and promote online participation among Democrats. For more information, contact the coalition president, Michael Calderin, at michael@fdpnetroots.com. An organization representing Florida democrats who have served, or are serving in our nation's armed forces. Visit their website at http://www.fldemvets.org. 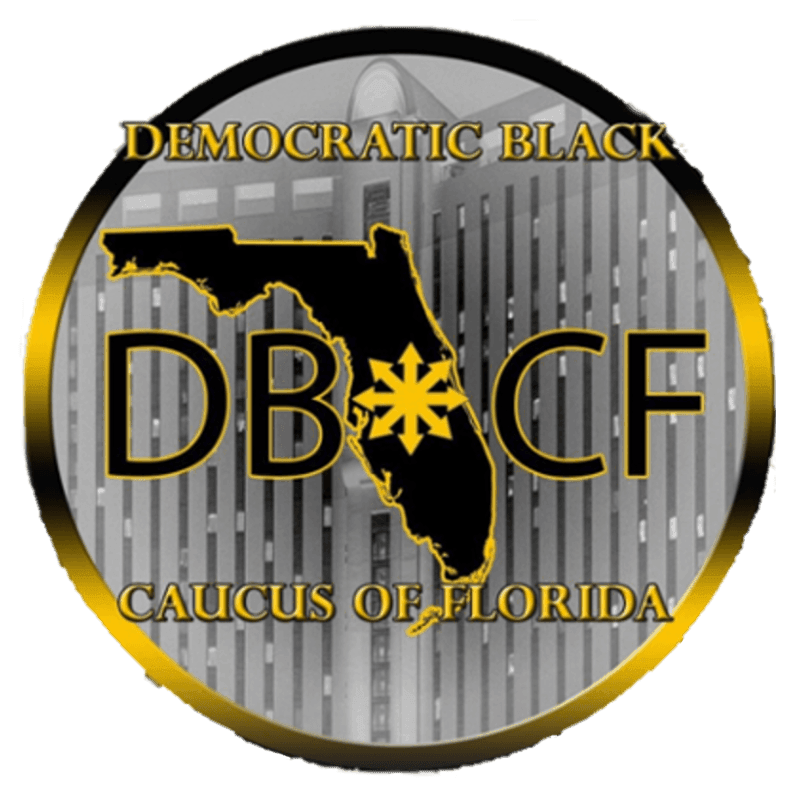 "The Democratic Progressive Caucus of Florida serves to strengthen and maintain a relationship between the progressive community and the Democratic Party. The Caucus builds on the foundation of the progressive history of the Democratic Party to promote the continued development and growth of the Democratic Party's core ideals and principles. For more information, contact Susan Smith at stsmith222@aol.com, or by phone at 813-390-3616."